This beautiful one Bedroom apartment in Mazotos. One bedroom spacious, refurbished apartment for rent perfectly situated in between Kiti and Pervolia, with a communal pool, Communal charges are included in the rent. 1 bedroom apartment a very lucrative rental investment opportunity. This 3 level building at the heart of Pervolia with 11 apartments, a shop and 2 large storage rooms is a lucrative investment opportunity. A well-maintained and spacious fully furnished 2 Bedroom Apartment within a complex in the village of Tersefanou for rent. The location is excellent and very close to the town center. A beautiful and spacious 2 Bedroom Apartment in Pervolia with swimming pool and 5 minutes walk to the sea. 2 bedroom Holiday Apartment in the very center of Larnaca. LARNACA - KITI - Two Bedroom Apartment with en suite, underground parking, communal pool, gym and Sauna. A holiday 2 bedroom top floor apartment with stunning views of the surrounding village of Oroklini. A beautiful modern and spacious 2 Bedroom House located in the traditional village of Mazotos Larnaca. Must be viewed. This delight full house in Zygi has 2 bedroom, en-suite and swimming pool. The house is fully furnished and appliance which is included in the house price. Роскошная 2х-спальная вилла находится в тихом районе Перволия,города Ларнаки. 2 Bedroom Penthouse with large veranda in Oroklini within walking distance to shops, banks, Schools. A unique 2 BEDROOM STONE HOUSE for Sale in the traditional Pano Lefkara village. A very original, secure and cozy 2 Bedroom unfurnished Townhouse on 2 levels with potential for a roof garden in Larnaca Town Center. Spacious 2 bedroom apartment in Kiti. Close to the Sea. 3 Bedroom apartment fully furnished Central Nicosia with 85sqm Veranda. Opposite Altius Hotel. A traditional detached bungalow in Kiti, built in the late 1950’S and ready to be moved into. Located in a quiet sort after residential neighbourhood of Kiti village close to all essential amenities. This three Bedroom Detached House with fire-place is situated on a small secure complex in a quiet cul-de-sac just outside Oroklini village. A competitively priced 3 Bedroom Detached House, sold fully furnished with Title Deeds. This property must be seen. The property is situated in the rural area Mazotos which has local outdoor swimming pools as well as a local secluded beaches within a ten minute walk. This detached family house is on one level in Meneou and comes with a shop / kiosk attached. Luxury 3 bedroom villa for short rent in Larnaca, Pervolia tourist area, near the Light House. Fully equipped and furnished with large garden and private swimming pool. This luxury Villa Is situated in Pervolia is modern, and only 50 meters from the beach and has a large private pool. Современная 3-спальная вилла, расположенная в районе Декелья туристической зоны города Ларнаки. Шикарная 3х-спальная вилла у самого берега моря, в туристическом районе Перволья,в городе Ларнака. Sea Breeze Villa is located on a small exclusive development of five villas in Pyla, off Dhekelia Road just a hop from the beach. MAZOTOS - LARNACA A spacious 3/4 Bedroom house in Mazotos, built in 2000 in a small and but very popular complex. Luxurious 4 Bedroom Detached House built on 2 levels for Sale in Aradippou. Furnished with Central Heating. Modern 4 Bedroom Detached House with Pool and Sauna on a 5000sqm plot fully furnished for Sale. Эта элитная четырёх спальная вилла расположена в шикарном комплексе тихого района Перволия. Изумительный 4х-спальный дом расположен на берегу моря,в тихом районе Перволья, города Ларнаки. A very spacious and impressive semi-detached family house for sale in a very quiet neighbourhood of Kiti. A unique, spacious, luxurious yet homely villa with a larger than average swimming pool and garden with fruit trees. A fabulous recently renovated 5 Bedroom detached and private property in a secluded cul-de-sac in Dromolaxia. 8362 sqm Agricultural land for sale with many Olive trees, and a 1 Bedroom cabin with bathroom, in the beautiful hills of the Pano Lefkara village. Exclusive Luxury Villa right on the Beach with large garden and roof terrace. Stunning sea views. Commercial and Residential Building. 2 rented shops 6% yield p.a. Building plot situated in Dhekelia area, divided with planning permissions for three x 3 Bedroom houses with a communal swimming pool. Large 574sqm Residential Building Plot suitable for 3 floor apartment building. Central Strovolos, close to new townhall. Casa “ Rustica" (5 bedrooms 4 Bathrooms sleeps 10+2) is a spacious, architect- designed Mediterranean style villa featuring a spectacular panoramic sea view. The villa is situated in the tranquil, wooded residential area of Tosalet well-respected for its 24 hour security service. 2 floor recently renovated COMMERCIAL Building in KITI a corner plot in a prime location for long term rent (min 2 years). LARNACA - KITI 2 bedroom apartment, family bathroom and en-suite, communal Pool, undercover parking. A beautiful and spacious 3 Bedroom Apartment on the 3rd floor in Larnaca Center for Sale in Droshia. 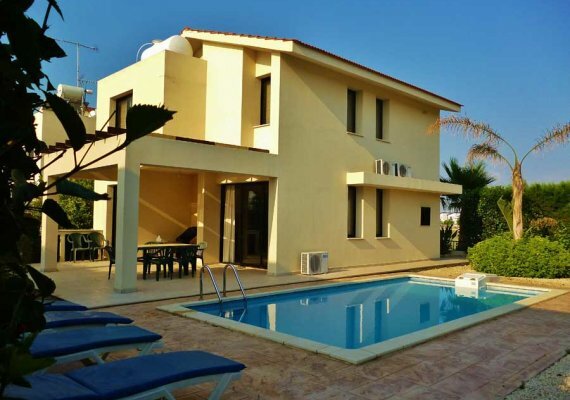 The "Larnaca Luxury Villa" is located in an established residential area, approximately 800 meters from the beachfront. Luxury Residence with large receptions area in the heart of Strovolos, close to all Embassies and Universities. RESIDENTIAL PLOT of LAND 595 sqm for Sale in Kiti. High building ratios. Quiet neighborhood. 601 sqm plot of land in a residential area of Pervolia for sale. Recent 2 Bedroom semi detached house for sale in Pervolia close to the sea. Villa with private swimming pool in a prime location in the Larnaca area. Just minutes away from the airport and Larnaca Center. 500 m to the closet beach.